In attendance at Majuro's Delap Elementary School were RMI's President, His Excellency Christopher J Loeak, the Minister for Education, Dr. Hilda Heine, and the US Ambassador to RMI, the Hon. Thomas Armbruster. Delap is the first school in RMI to provide laptops for its students. 320 laptops were distributed to every student and teacher in grades 4,5 and 6. The school has full wifi coverage and the laptops connect to a high-speed optic fibre internet connection through an XS School Server loaded with many useful digital resources appropriate for Pacific learning and RMI's curriculum. Addressing the event, Minister Heine thanked the US government for funding the project through its continued support of the Ministry of Education, and acknowledged the supporting role of USP and OLPC Oceania in bringing the project to fruition. The Minister emphasized the extensive training of teachers, the importance of e-Learning to the government's vision for education, and the MOE's plans to connect all schools on Majuro to the internet. 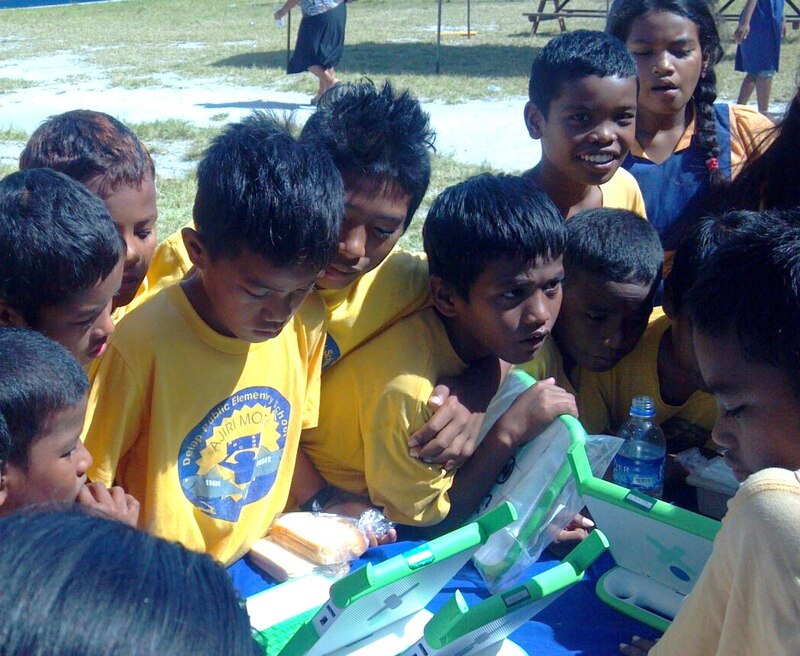 There are already 12 solar powered VSAT ICT centres scattered across its far flung outer islands and atolls. Ambassador Armbruster made a strong speech, engaging the children directly in his address. Producing his own "technology" - an abacus - the Ambassador noted while we have always had tools to assist our learning, the most important tool is the brain. Asking how many kids had pets, he noted that just like pets, their new laptops need to be looked after. 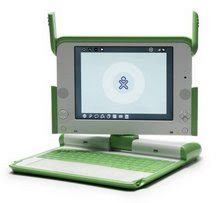 He then recommitted the United States' ongoing support for OLPC in RMI, where there is a school-age population of about 10,000 kids. 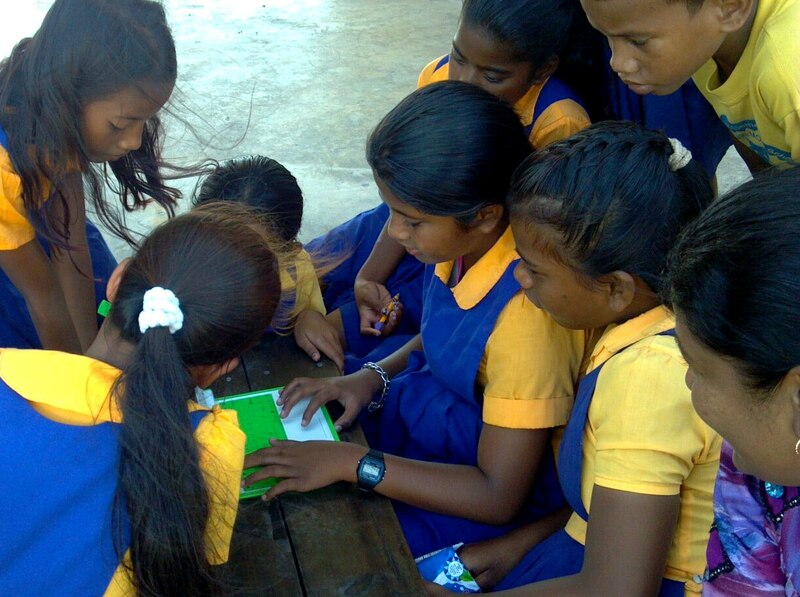 It is in the so-called "compact" nations of the mid-Pacific -- the Marshalls and the Federated States of Micronesia -- that the US government is making its only direct commitment to support national OLPC programmes. Delap's Grade 6 kids performed two songs for the occasion, one especially composed for OLPC. Singing in Marshallese, it was easy for non-native speakers to understand when the children held up their new laptops shouting O-L-P-C. The launch attracted national media coverage, was broadcast live over local radio and was the topic of several speeches in the national Parliament. Veteran Pacific OLPC expert, Mr Ian Thomson, now E-Learning Fellow at the University of South Pacific, has travelled to Majuro several times for USP in the past year to advise the RMI Government on deployment and to conduct teacher training workshops ahead of today's handover. USP signed an MOU with OLPC Oceania to support Pacific deployments in 2010. USP has been assisted by OLPC volunteer Nicholas Dorian, who has been in the country for several months. As part of OLPC Oceania's community inclusion approach, Mr Thomson conducted a community briefing last week attended by several hundred parents and community members. "They asked some very good questions as well," said Mr Thomson. "We are now planning another session on XO basics. 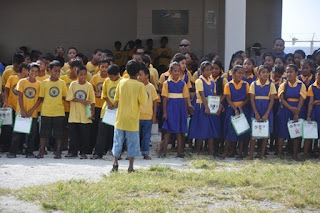 The next phase of the project is to launch the project in two more Majuro schools in coming months and then to five outer island schools over the second half of 2013."